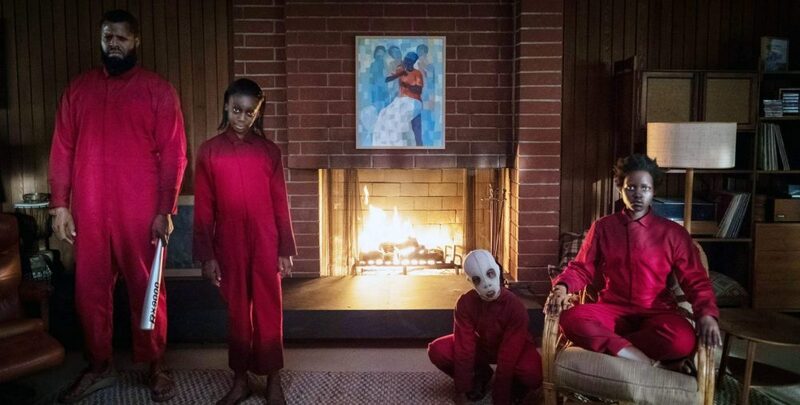 Highly original — yet ultimately flawed — Jordan Peele’s Us takes the age-old tale of the doppelgänger and carries it to nightmarish extremes. 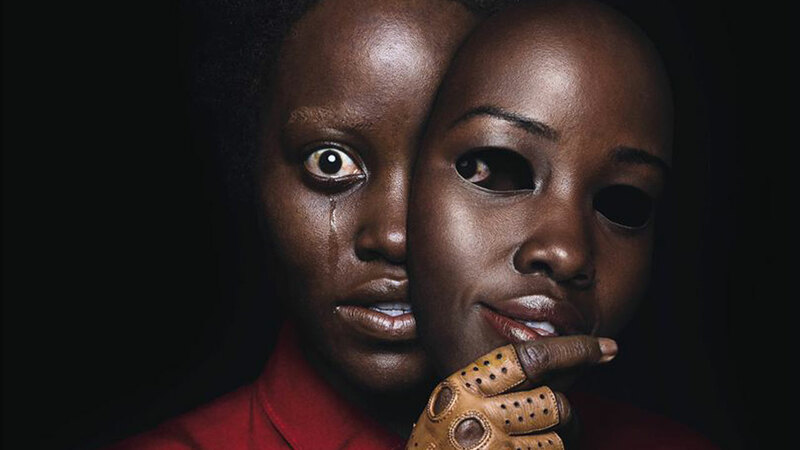 With none-too-subtle political commentary on the dark side of a soulless nation, the film is nonetheless one of the most effective horror films of the past decade, delivering many a genuine scare. At its core is a fear that has plagued humankind for centuries: the double — the worst part of ourselves… made flesh. 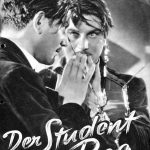 An old theme tackled numerous times by writers like Edgar Allan Poe in “William Wilson” (1839) and Dostoevsky in “The Double” (1846), the doppelgänger (literally “double goer”) as exact duplicate found its way into cinema as early as the silent Student of Prague (1913). Spencer Tracy’s turn as Dr. Jekyll into an almost identical (but sinister) Mr. Hyde (in 1941) further upped the ante of the doppelgänger as true double on the silver screen. 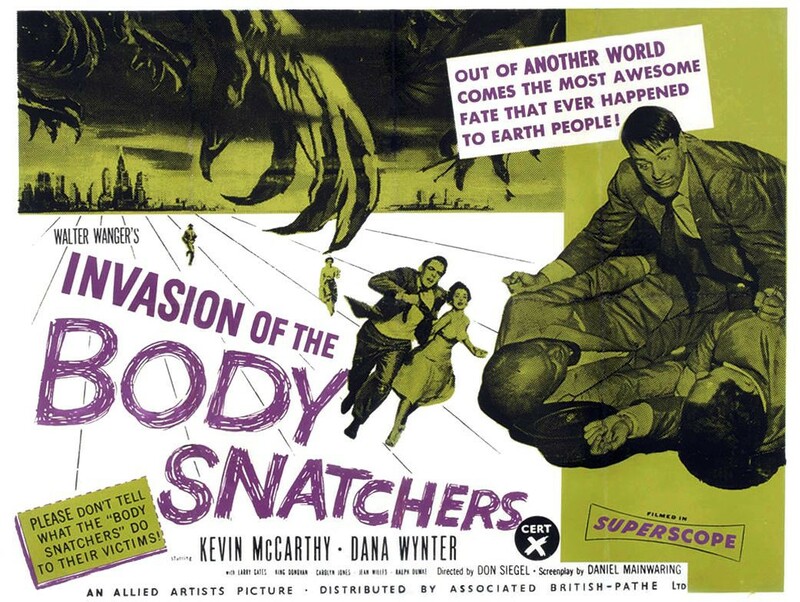 But the theme would not be as effectively handled as it was in 1956 with the arrival of the Invasion of the Body Snatchers. Even its 1978 remake would carry the inevitable metaphor that mirror images of ourselves not only say something ourselves, but also the world in which we live. In 1956, anti-communist paranoia and tyranny of McCarthyism, for example, at the very least informed the watching of the film — if not its making. Less overt, but still there, the 1978 remake smacks of a creeping conservatism threatening to overtake ineffectual intellectuals. 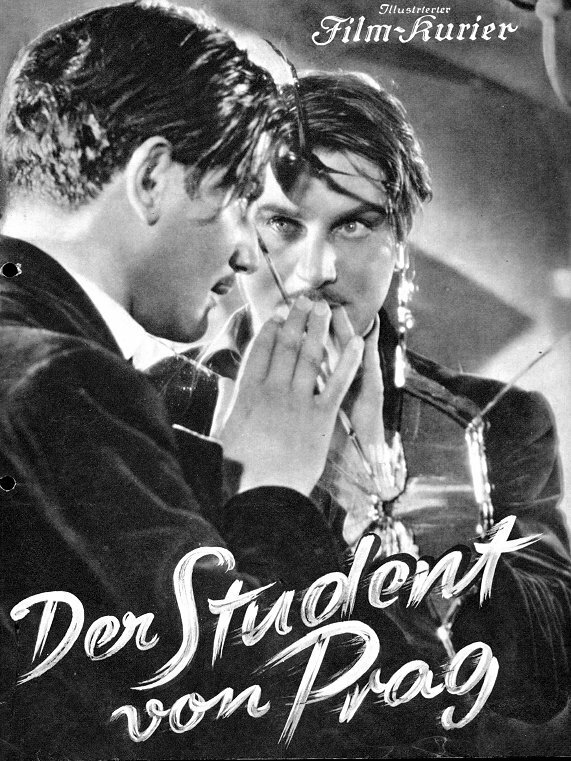 Both films are reflections of their times. A doppelgänger is only hinted at in the opening minutes of Us as a young girl named Adelaide encounters a unsettling image of herself in a funhouse mirror. 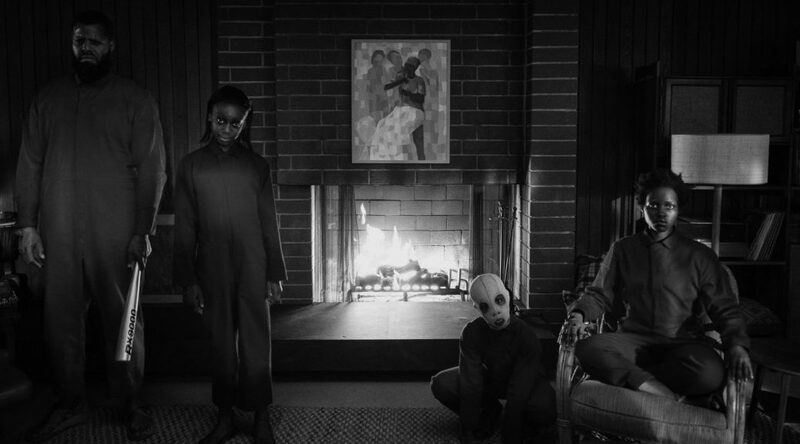 The true horror of the movie does not begin until a family — whose matriarch, Red (played with intensity by Lupita Nyong’o) as the young girl now grown — encounters a silent, sinister, and oddly similar family standing in the driveway of their otherwise ideal summer home. We soon learn that these doubles are violent — some disturbed and sympathetic. Others are downright sadistic. And some (though not all) are seemingly confused by who or what they are. They are “tethered,” explains Red. And the tether can apparently be broken by murder. Only then, it seems, can the monsters be free of lives spent in the shadows. Or more specifically — as the opening title card makes clear — lives spent below ground. Peele adeptly digs deep into the bag of tricks used before him by filmmakers like Hitchcock, Carpenter and Craven. 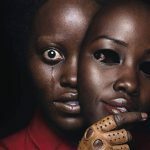 From the motionless figure that blocks a path, to the deft (and borderline deafening) use of sound to indicate movement off screen, Peele’s direction is impeccable, earning him a place among the best of the genre (high and deserved praise after only two movies!). He delivers not only on blood and gore, but much-needed suspense in an age when too many horror films rely on nothing more than the sudden scare. Still, the well-built tension abates when Peele begins to over analyze his premise. The conceit that attempts to explain the motivations of the doppelgängers in some ways undermines the film. It is convoluted, and it begins to unravel the more the audience thinks about it. Why do these doubles do what they do? Without giving too much away, I will say that they have been invisible for too long. They want their time in the sun. Peele’s doppelgängers are, (Peele’s) pun intended, us. Us as Americans. Us as families. Us as people who feel, who breathe, who bleed. But it’s the U.S. of the downtrodden. The poor. The disenfranchised. Those we do not see, or choose not to see. The problem is that, in the end, it is not important why the doubles exist: just that they do. Horror in its purest form often works best when it is explained the least. As Lovecraft made clear decades ago, the greatest fear is fear of the unknown. Trying to build a backstory for the doubles’ reason for being ultimately breaks the tension. It pushes the audience’s suspension of disbelief too far. And it is not needed in a movie of this kind. Reveal just a little and you have the audience terrified. Reveal too much, and you have them confused. For the film to have been the true masterpiece it could have been, the origins of the doppelgängers need never have been revealed. It would have made their killing spree all the more terrifying, and their reach across America all the more political.